Diwali – A grand festival in India brings a lot of new trends every year. This festival of light is celebrated with extreme excitement and emotional touch. The houses are decorated with lights, diyas, Rangoli, flowers, and many more. Not only the premises but the members also get ready with the beautiful ethnic attire on this day. Coming to the costumes, every year N numbers of trends arrive with their signature style and look to mesmerize the people’s eye. So, what’s in this Diwali Festival Trends?? Influenced by the old designs, the designers have made a beautiful dress called dhoti kurti. 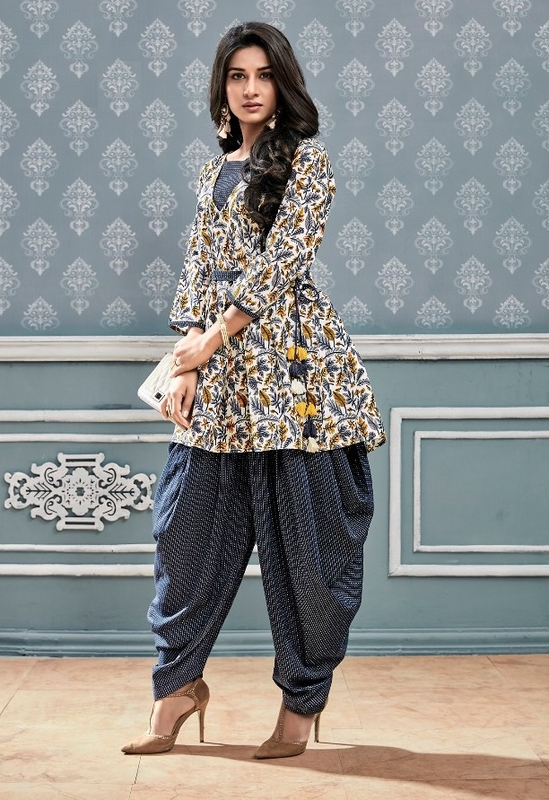 The name itself suggests that the pattern is a fusion of Dhoti pant and the ethnic kurti. The combination has won the maximum hearts this year as it is one of the unique and easy to carry clothing trend for the modern ladies. The look and feel of Dhoti Kurti are most suitable for young girls who are not very comfortable with heavy attires. Fashion has no boundaries and the Jacket with Cigarette Pants outfit makes it clear. A long designer jacket with a slim fit cigarette pant gives you a royal ethnic look if you are bored out of heavy lehengas and churidars. This outfit is basically suitable for the working women who may need to attend the office Diwali party or celebration. The dress is utmost easy to carry and gives a fashionable ethnic look without wearing a dupatta and heavy jewelry. The trend of long skirt can never die. This festive season also the trend of long floral skirt is on but with a new designer touch. As now the drift is of light and classy, the long skirts have come with prints and light borders that gives an elegant look without making it bulky. Even most of the film stars are seen carrying this type of costumes in special occasions. Saree is one of the oldest fashion household in India. This Diwali, the saree lovers are going to get an extremely unique collection to wear for sure. The blouse has been totally replaced with the cape top still giving a grand look to the ladies. Even the young girls can pick one for a change. Bollywood actresses and some of the beauty icons have seen wearing the same kind in the ramp this year. 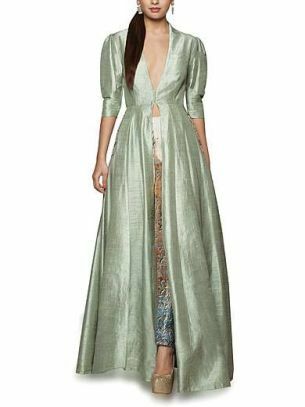 So Indian ladies, Diwali 2018 is going to be a real thrill with these varied range of fashionable collections. Jumpsuit is usually defined as a professional as well as casual clothing outfit. But no, the suit is not gonna stay back in the wardrobe during Diwali this year. You will find your comfort zone jumpsuit in ethnic designs. The vibrant colors and the traditional work make it a perfect attire for the ones who always look for the trendy wardrobe. With the above Diwali Festive Trends, hope to see you all ladies in a fashionable ethnic look during India’s one of the grandest celebrations. Go easy, go gorgeous! Let your outfit please you first, and then others. Wish you a happy and prosperous Diwali 2018.